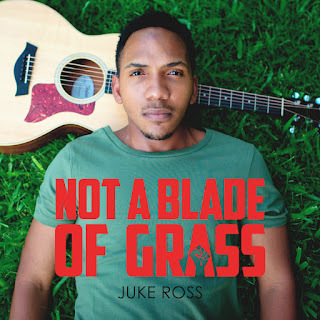 Juke Ross - Not A Blade Of Grass. Background - For over 100 years Venezuela has tried to claim that a vast swathe of Guyana, an area west of the Essequibo River that is home to indigenous villages and mining camps, abundant with deposits of gold, diamonds, bauxite and other minerals, belongs within its borders. Last year tensions escalated once again after Exxon Mobil, conducting work on behalf of the Guyanese government, discovered oil off the shores of the disputed land; Venezuela tried to stake a claim to the oil. During another border dispute flare up in the 1970s one of Guyana's favourite musical sons - Dave Martins, was inspired by a Native American Chief's speech refusing to bow to the white man's invasion of their land and wrote a resistance song for his countrymen. It instantly connected with his people and became part of Guyanese folklore. Penny for the Workhouse - Smoker At The Window. 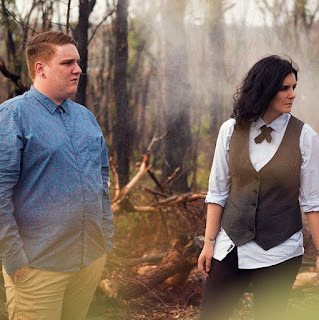 Background promo - Formed in 2012, the band's unique ‘Folk ‘n’ Roll’ style marries the energy of Indie rock with the captivating storytelling of Folk. 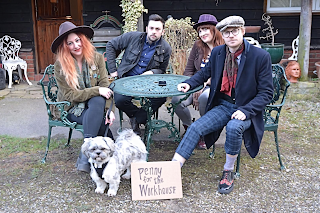 With catchy lyrics and toe tapping drum beats, Penny For The Workhouse are bursting with personality, always making their audience feel part of their performance. Their self-released debut EP “Coins and Cards” (2012) was met with 5 star reviews on iTunes and also by Paul Weller, the Modfather himself! Background promo - The band’s name is taken from a confluence of roads in the band’s home town of Dundee. Very appropriate this is too, since this band is truly the result of a meeting and a meshing of talents and minds. 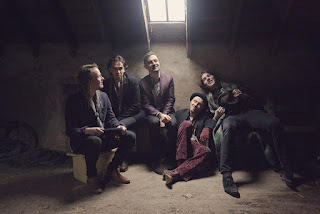 Producer Matt Lawrence allowed the band to capture the essence of what makes the music special, distilling not only the foam and the energy, but also the eeriness and otherness that sits at the heart of their sound. 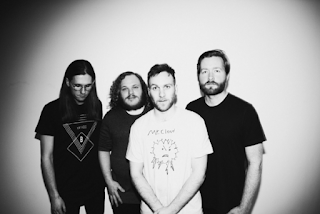 With hundreds of gigs already chalked up, and the schedule for 2016 filling fast–don’t doubt their commitment. Background promo - LA by way of Chicago songstress Cerise is set to release her debut album 'Smoke Screen Dreams,' on June 24. Although music has been integral to Cerise's life since as far back as she can remember, it was her teenage days spent listening to such dark and romantic luminaries as The Cure, Bauhaus and Siouxsie And The Banshees that had the most dramatic effect. "That was the first time music really spoke to me," she remembers. "The darkness and beauty of those bands seduced me into this other world and having a big interest in music. But it always seemed like it was the hardest thing in the world to actually do. To me, being a musician in a band seemed like being a ballerina- like you had to be trained for it from the age of six to become this amazing artist." Background promo - NYC indie duo, Monk Tamony, officially releases the next instalment off their forthcoming self-titled debut EP, Monk Tamony. “Leaders” follows debut single, “Back Of The Building." Pancakes & Whiskey raved of “Back Of The Building," The track is rife with rolling guitar riffs and a solid back beat which gets our blood pumping for more from this new exciting duo.” Comprised of TJ Rosenthal (Vocals, Guitar) and Joe Zdaa (Drum, Vocals), the stellar, two-piece band produces super charged, hard-driving rock with unmistakable New York City attitude. Stone Cold Fox - Contagion. Background words - The best kind of road trips are the ones that are spontaneous. You know where you want to go, you have a final destination in mind - you just don’t necessarily know how you’re going to get there. But that’s OK, because it’s all about the journey, right? 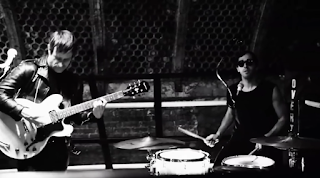 Brooklyn-based four piece, Stone Cold Fox want to take a road trip with you- they’ll get you to where you want to go, you just gotta let them take the wheel, because in the end whatever will be, will be. And the soundtrack? Their forthcoming EP, Tunnel Vision.